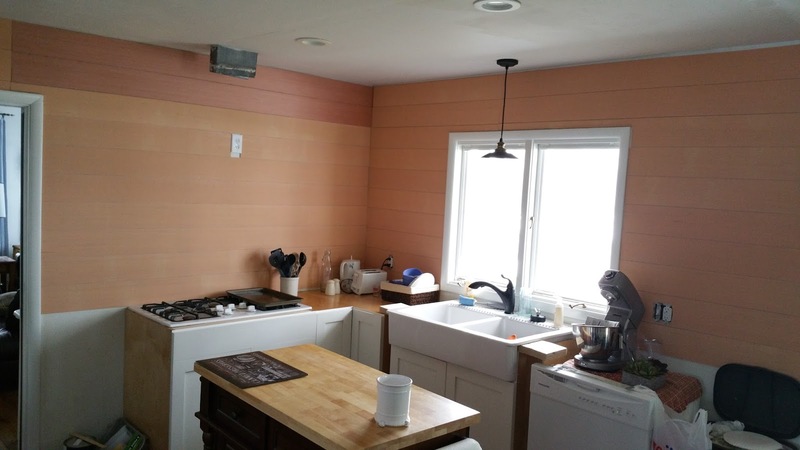 plum tree place: Kitchen Projects! It's been awhile, I know. Almost a year, in fact. Things have settled down here a little more and I finally feel like I am in a better place to blog more. I am working on some projects for our kitchen. 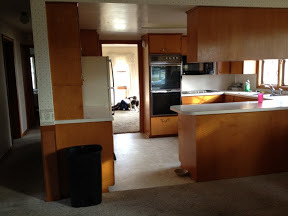 We have lived with different stages of an unfinished kitchen for three years now. I'm ready to just have it done! I blogged about what I wanted done in the space back in 2012 here. My ideas have changed a little but are mostly still the same. Here are the various stages of our kitchen history. 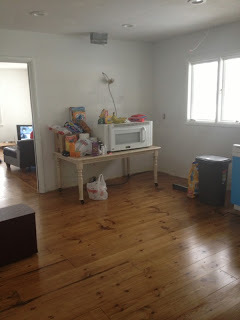 And what it looks like today. I just recently started a new project that I will blog about very soon! Don't worry, it won't stay this way. We also recently switched out our kitchen sink. 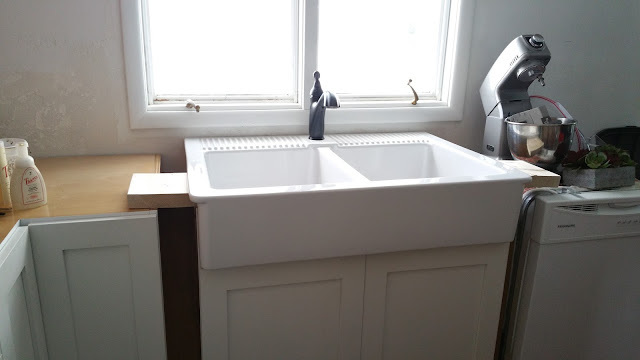 We bought a farmhouse sink from Ikea about three years ago. It's been sitting in the box in our garage ever since. There were lots of other things that needed to get finished first and so it kept getting put off. I caved and bought a faucet that was not my dream faucet. My dream faucet had a much heftier price tag. Maybe some day I can afford it but for now, I like this one just fine. Here is the sink we had. And now doing dishes is ALMOST enjoyable. Obviously there is a LOT of projects that still need to be done. 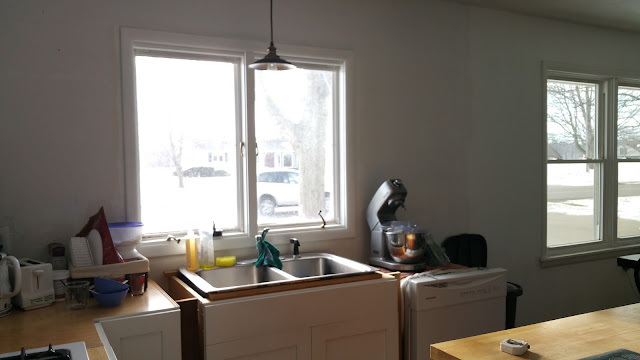 We need countertops, painting done, the rest of our cabinets, and I am still putting open shelves on either side of this window. That will be my next post. Come back and check it out because I need your opinion. I'm on the fence for how to do my open shelves. Thanks for dropping by!